Diseases from mosquitoes, ticks and flea bites tripled in the United States from 2004 to 2016, and officials said Tuesday rising temperatures and an increasingly connected global society are to blame. More than 642,000 cases of these illnesses were reported during the 13 years studied in the Vital Signs report from the US Centers for Disease Control and Prevention. Cases of Lyme disease, Rocky Mountain spotted fever, West Nile and Zika numbered more than 27,000 in 2004, and soared to over 96,000 in 2016, it said, warning that since many cases go unreported, these numbers are likely "substantially" lower than the true amount. These diseases pose "an increasing risk" and the "nation needs to be better prepared to face this public health threat," said the report. "Zika, West Nile, Lyme, and chikungunya—a growing list of diseases caused by the bite of an infected mosquito, tick, or flea—have confronted the US in recent years, making a lot of people sick," said CDC director Robert Redfield. Currently, the most common tick-borne disease in the United States is Lyme disease. 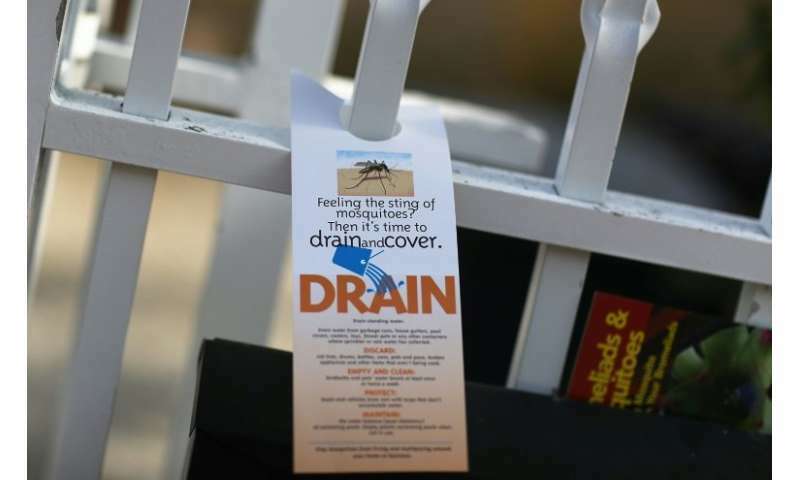 The most common mosquito-borne viruses are West Nile, dengue, and Zika, while the most common disease resulting from the bite of an infected flea is the plague. Lyle Petersen, director of the CDC division of vector-borne diseases, said increasing temperatures can help such diseases spread, though he declined to say specifically if climate change is the cause. "Many of these diseases are sensitive to increasing temperatures," he told reporters on a conference call. "Increasing temperatures will tend to expand the ranges of these ticks further north as well as increasing the length of tick season." Other factors leading to the spread of mosquito-borne diseases like Zika include international travel, the CDC said. "Nine new germs—seven of them spread by ticks—have been newly introduced or discovered in the United States since 2004," said Redfield. Commenting on the CDC report, Paul Auwaerter, president of the Infectious Diseases Society of America, called for more research money for diagnostics, vaccines and treatments for Zika, Lyme disease, and other serious vector-borne diseases. "Vector-borne diseases such as Lyme disease and Zika virus disease can devastate patients and their families, causing significant suffering," he said. "We are also investigating how climate change may impact the spread of vector-borne diseases so that we can take appropriate actions to protect public health."